When I execute a manual search and from the result list I want to download a file that is identified as « rejected release », I cannot override this flag. Is there a way to do it. Thank you. Depends on why it was rejected. You can’t currently override a release that was rejected because Sonarr couldn’t determine which series it’s for. Last time it was rejected because of the language. « Iscelandic » is not in the list and there is no « any language » choice either. Sonarr doesn’t have any knowledge of Icelandic as a language, so it wouldn’t reject for that, unless you made it a required word. there is no « any language » choice either. In Manual Search you can press the download button to forcibly grab it if Sonarr rejects it for the language or for not containing a required term. But that’s it! Sonarr does not permit the override, no button is showing, because the file is a rejected release. @padio: It is what @markus101 said. Sonnar can’t identify the series as the one you are searching for. Based on that picture I believe you did the reverse of the below. 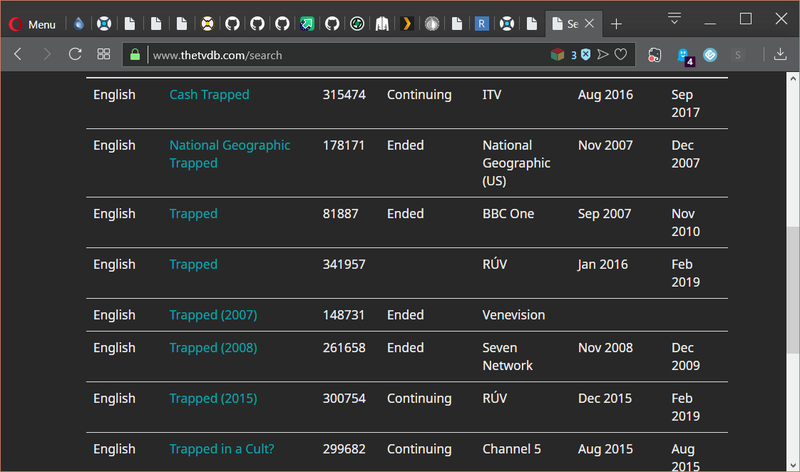 You are looking for the second series “Trapped (2015)” and that result is for “Trapped” the original or first series with that name (at least, as far as Sonarr can tell). The screen grab was showing the wrong title, but it was only to point out that the download button is not present to forcibly grab the file. Here is another grab with the right file, but it is still not available to download. @padio, I see. What does it say if you hover your cursor over the on that release? Try deleting the show and adding Trapped (2015) instead. You could also try to get the duplicate removed from the TVDB. Or do what @rhom said. of course, you will probably have that problem every episode if you don’t have the correct show. Thank you Rhom it was exactly the workaround I was using. 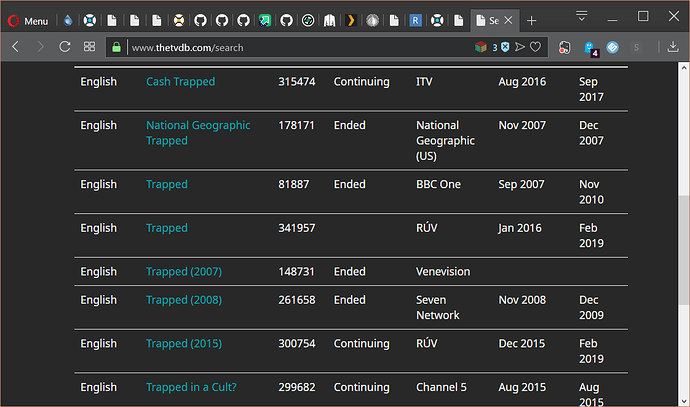 Thanks Beardman, I deleted the the title Trapped and replaced it with Trapped (2015) and it did the job. It has been really healpfull, thank you. You are very welcome, @padio. Glad it is working now.